I helped to unify the HealthPoint brand messaging and information flow across its website and newsletters, allowing the community health organization to better reach new and existing patients. 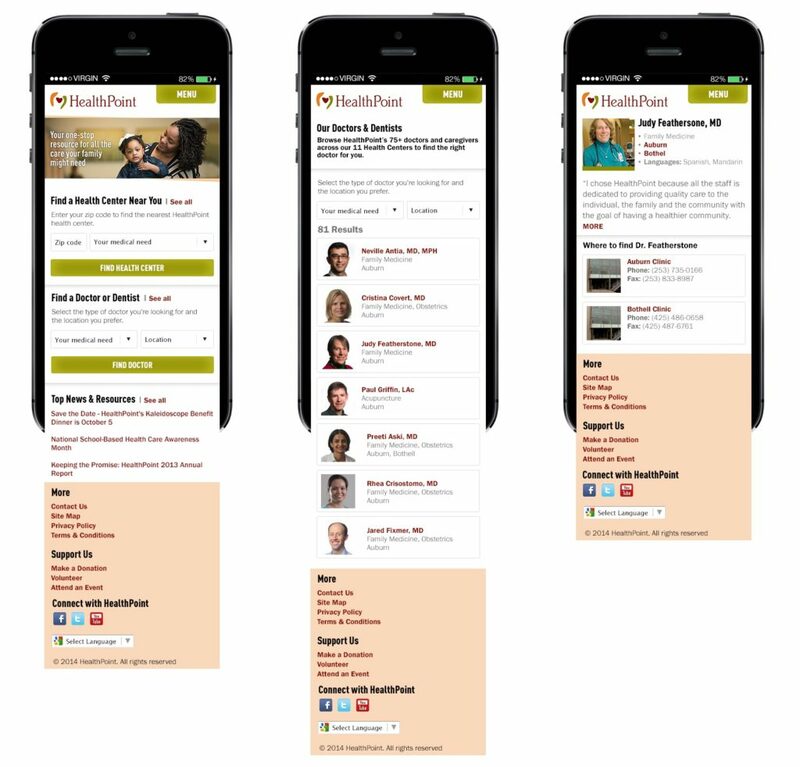 These mobile screens show one common path: finding a doctor and making an appointment. Redesign the look and feel of the HealthPoint website to better align with its potential and existing patients’ needs. 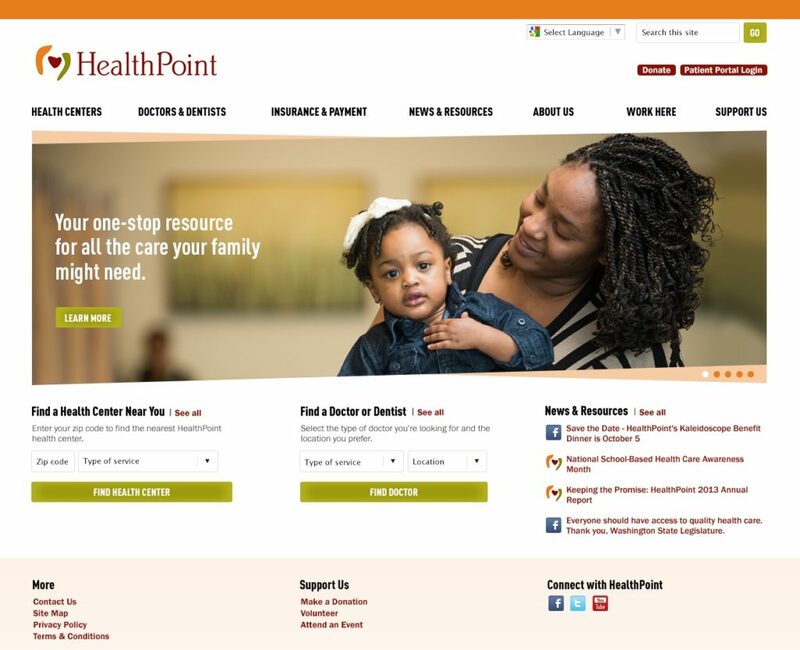 HealthPoint served over 78,000 patients in the year after we launched the new website. This was up from 50,000. HealthPoint staff members can now easily update their website using Expression Engine. The U.S. Health Resources and Services Administration named HealthPoint a Health Center Quality Leader, in the top 30% nationwide.